Filed to: That's Pretty Neat!Filed to: That's Pretty Neat! Humpback whales, those 80,000-pound giants of the sea, might be the living embodiment nature’s majesty, but when one gets close enough to crush you, it’s like you’re in the middle of some Godzilla monster flick. Things start off mild, even serene, in this video. A kayaking adventure off the coast of British Columbia. Then things get a little too close for comfort. 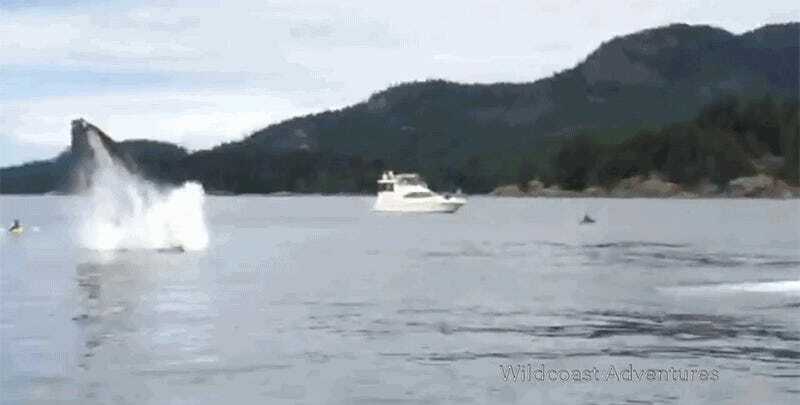 Luckily, no one—human or whale—were harmed in the making of this video.